1 Who is Eustace Conway? 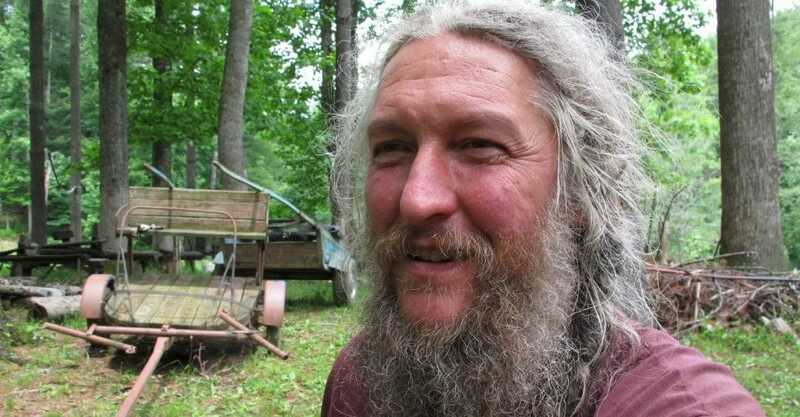 Eustace Robinson Conway IV was born on 15 September 1961, in Columbia, South Carolina, USA, and is a reality television personality as well as a naturalist, best known for being one of the cast members of the History channel series entitled “Mountain Men”. 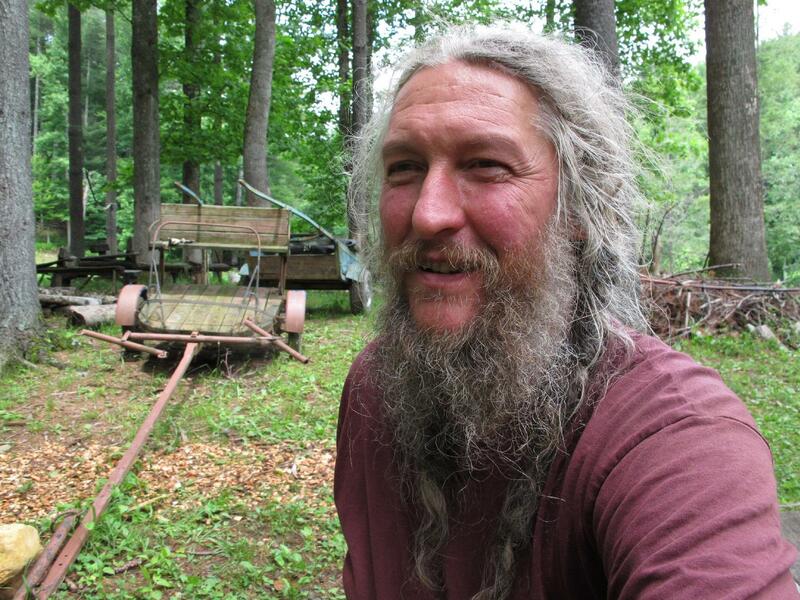 He is also the owner of the 1,000 acre Turtle Island Preserve located in Boone, North America. He was the subject of the weekly radio show “This American Life” segment “Adventures in the Simple Life”, and the subject of the book “The Last American Man”. How rich is Eustace Conway? As of late-2018, sources estimate a net worth that is at $200,000, earned largely through a successful career on television. His exposure on television has allowed him numerous opportunities to help boost his wealth, along with working on other media projects such as documentary films and television specials. As he continues his career, it is expected that his wealth will also continue to increase. Very little information is available about Eustace’s childhood and family. What has been shared about his life is that at the age of 17, he decided to leave home so that he could live outdoors in the woods. He constructed a tipi and started living on his own. He proclaimed that he hiked the entire Appalachian Trail, and also that he rode horseback from the Atlantic to the Pacific across the US in 103 days, claiming it as a record however, researchers later discovered that the record was actually held by Bud and Temple Abernathy, children who crossed the country on an equestrian journey spanning just 62 days. 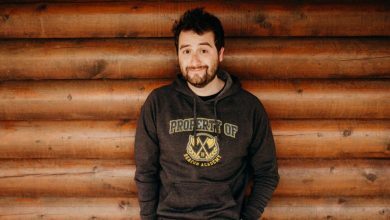 His endeavors were eventually uncovered by many who found his life interesting, and in the late 1990s, he began being featured on the weekly radio show entitled “This American Life”, in the segment “Adventures in the Simple Life”. The show reported on his cross-country journey, with recordings on a taped handheld recorder that was used by him and his party. 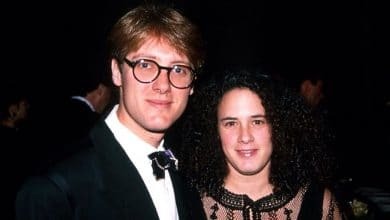 The features on him continued, and in 2003 he was the subject of the documentary film entitled “Full Circle: A Life Story of Eustace Conway”, directed by Jack Bibbo. In 2012, Conway was featured in another documentary entitled “Reconvergence”, in which he along with several others were covered, featuring the lives of four people with different lifestyles and views. 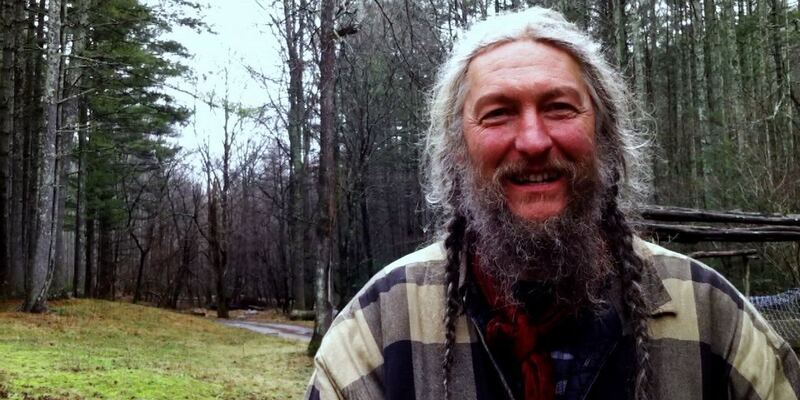 Shortly after the release of the film, he was cast in the reality television show “Mountain Men”, one of several cast members dubbed Mountain Men who are followed by a camera crew. 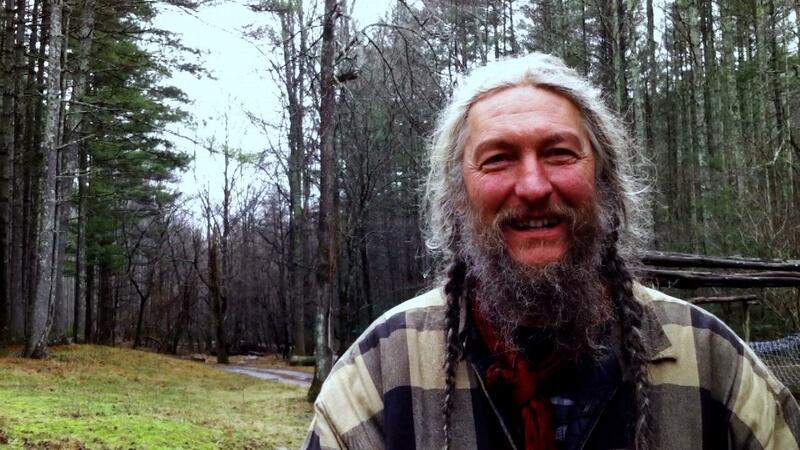 In the show, he is seen residing on Turtle Island in the Blue Ridge Mountains of North Carolina, hosting people and teaching them basic wilderness survival techniques. He has also learned ancient techniques to harvest firewood, also helping him earn an income. There is a lien against his land, and he is seen fighting to maintain ownership of Turtle Island. 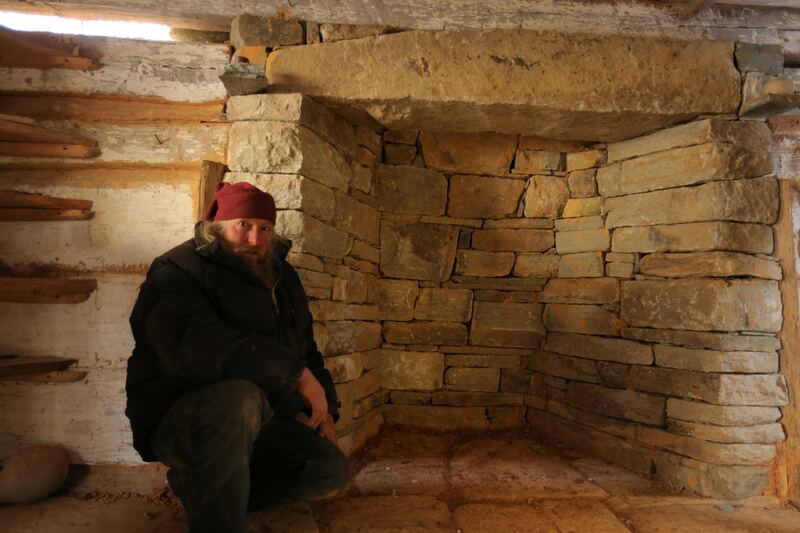 He is often joined by his friend Preston Roberts on the show, and other cast members who are featured include Marty Meierotto who is a trapper and travels to a cabin on the Draanjik River in the Alaska North Slope, tending to animal traps once a month; and Tom Oar who resides in northwestern Montana, and always prepares for long winter seasons, with the help of his wife as well as his neighbors. 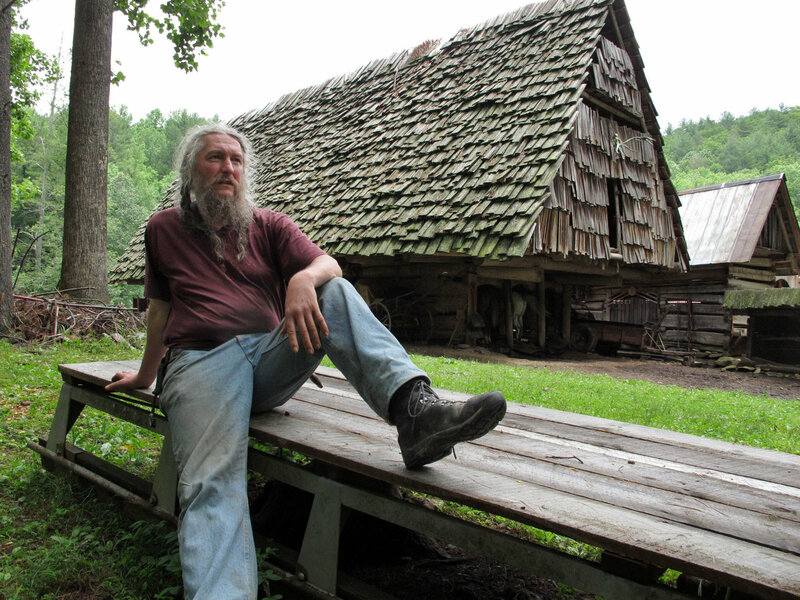 In 2012, with the popularity of Eustace increasing thanks to the success of “Mountain Men”, he was eventually noticed by government officials who shut down public access to Turtle Island; according to reports, the place’s traditional buildings violated building codes. A month later, he appeared in front of the North Carolina Building Code Council in hopes of making a speedy resolution to the issue, However, as he was making progress, he was arrested for allegedly trespassing on a neighbor’s property, in over a dispute over the property border. The legal problems continued for him and his land over the next few months, when state officials took notice of the issue and the North Carolina General Assembly intervened, proposing an exemption for primitive structures when it comes to building code requirements. The Senate and the state’s House unanimously voted to pass H774, and it was signed in mid-2013 by Governor Pat McCrory. The entire story was covered in the Fox News special entitled “War on the Little Guy” hosted by John Stossel. For his personal life, not much is known about Conway’s romantic relationships, if any. Many sources state that he is single and has never married, focusing more on his naturalist endeavors than anything else. There is some speculation that he just prefers to keep that aspect of his life away from the public. It is known that he has three siblings. Contrary to popular belief, he actually completed his college education despite leaving home at a young age. 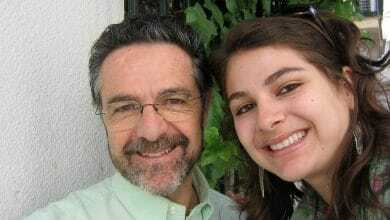 He is a graduate of Appalachian State University, completing degrees in anthropology and English. He continues to teach at Turtle Island, and maintains the fight to preserve his land. He also remains as a main cast member of “Mountain Men”, which has aired for at least seven seasons as of 2018.